The original church, built in 1888 and designed by architect Ernest Coxhead. Photo from Church of the Epiphany Archives. 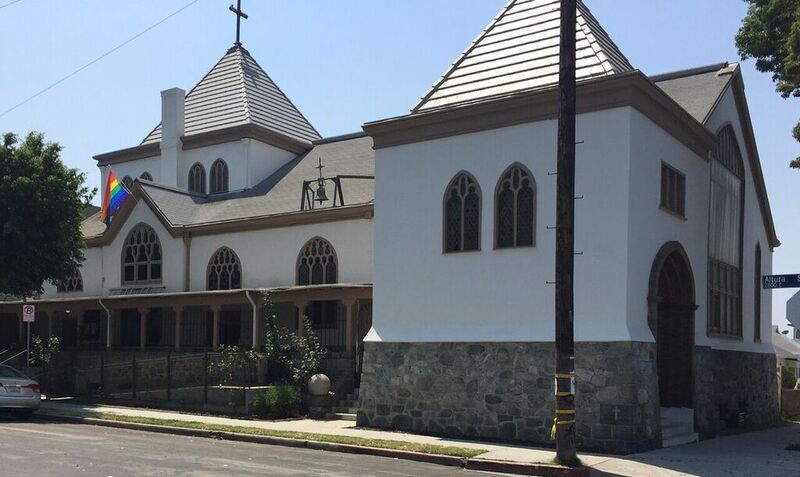 Less than 40 years before the Church of the Epiphany was founded in Lincoln Heights in 1888, California was still part of Mexico. The culture and history of our region has been entwined with our Southern neighbor since we were known as Alta or “Upper” California. 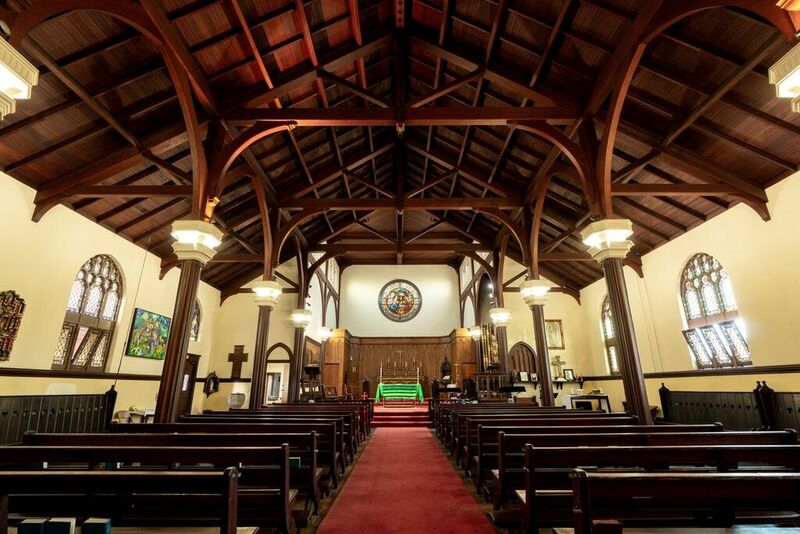 The church is a landmark known for it’s role in the community and in the Chicano rights movement starting in the 1960s. This church has been a home for immigrant communities since the days when those immigrants were filing in from places like Italy and Yugoslavia. 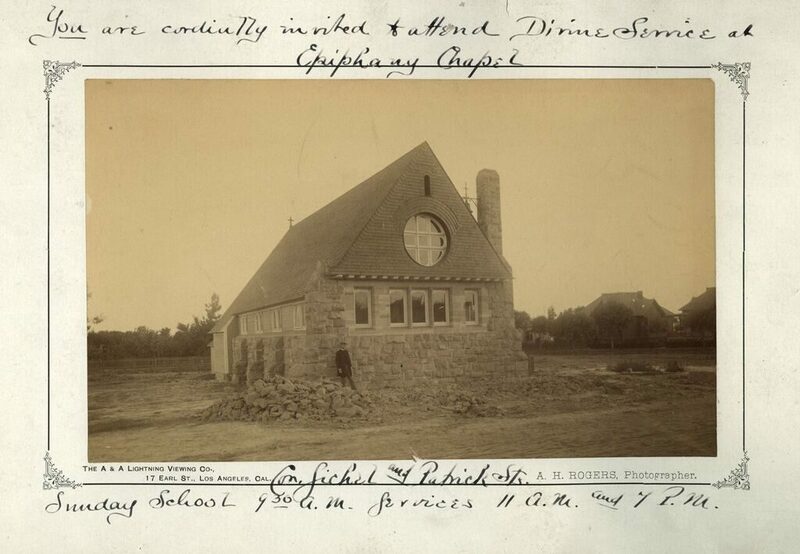 The Church of the Epiphany circa 1913, with a new sanctuary designed by Arthur B. Benton. 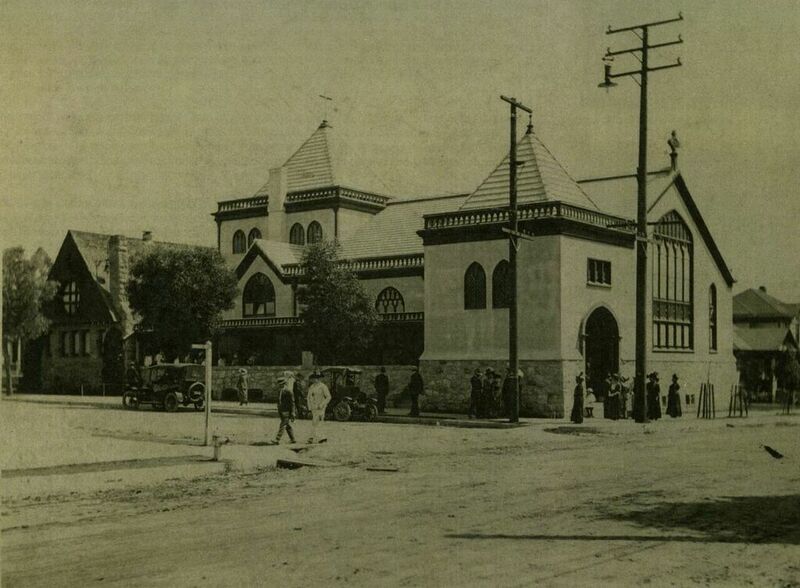 The Church of the Epiphany was built in 1888 and expanded in 1913; it remains a center of the Lincoln Heights community. 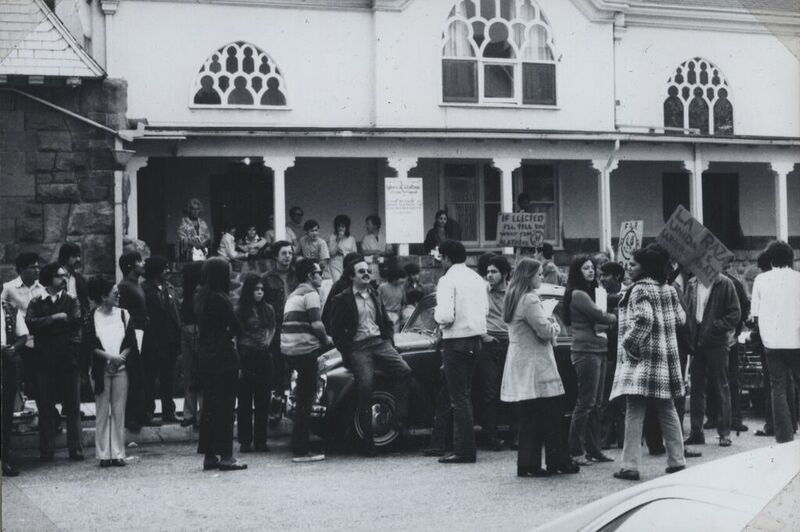 In the 1960s the church became politically active, hosting rallies, protests, and gatherings for decades with famous guest speakers including Cesar Chaves and Dolores Huerta. The underground newspaper La Raza was printed in their basement. Protest against Richard Alatorre, 1960s. 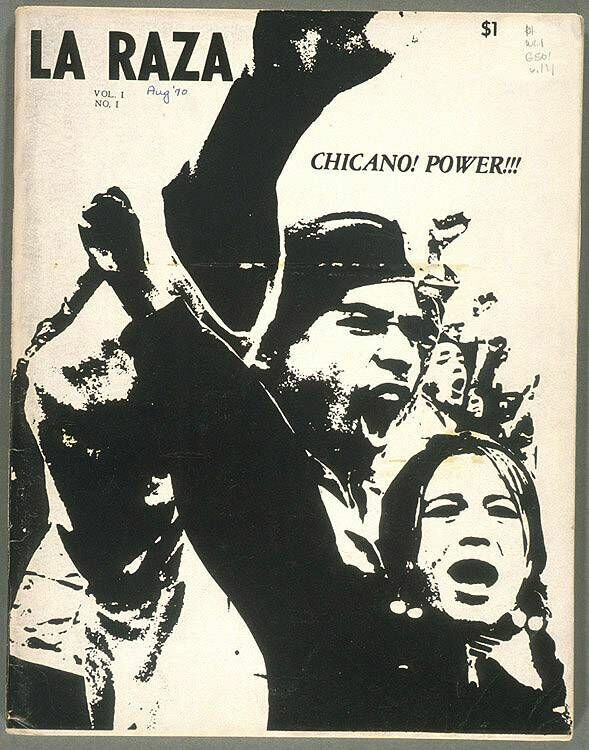 A cover of La Raza, the underground newspaper of the Chicano movement, printed in the basement of the Church of the Epiphany. Today, that basement, and other parts of the 130-year-old complex, are in need of costly repairs, so the church is competing for funding from the National Trust for Historic Preservation. Last year the Formosa Café took home the prize. In this round of voting (which ends October 26 at 9 p.m.) the church is up against the Women’s Building in San Francisco, an opera house in Colorado, and some pretty spectacular historic buildings all over the country. 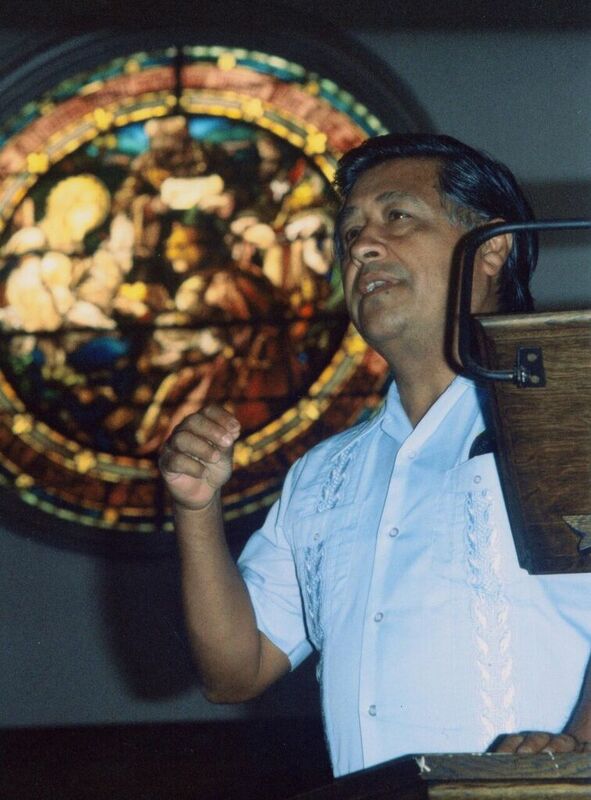 Cesar Chavez speaking at the Church of the Epiphany, 1982. 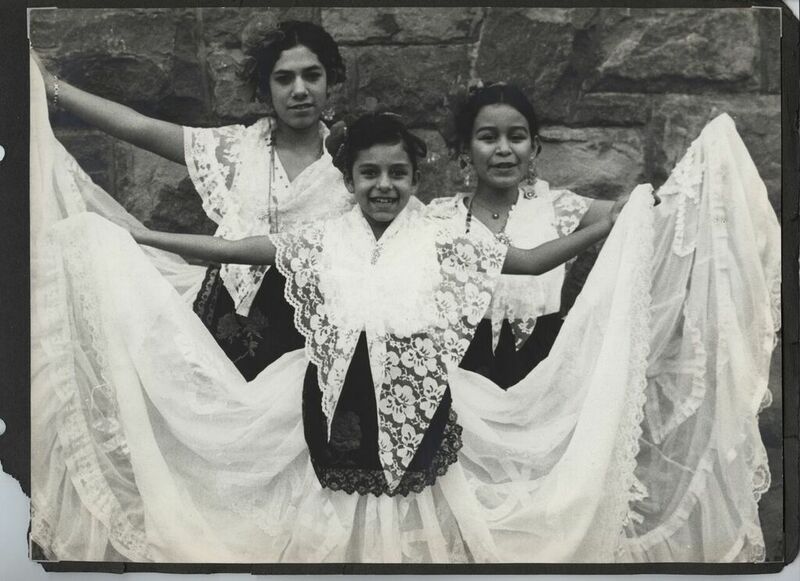 Photo by Nancy von Lauderback Tovar, Church of the Epiphany Archives. 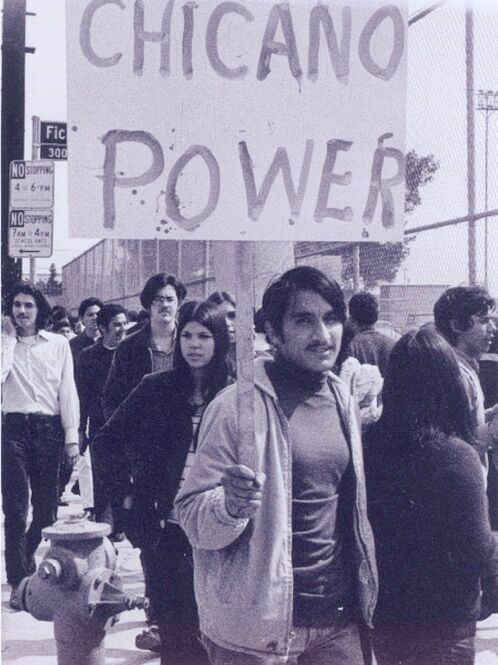 Rosalio Muñoz, church activist and leader of Chicano Moratorium, 1970s. 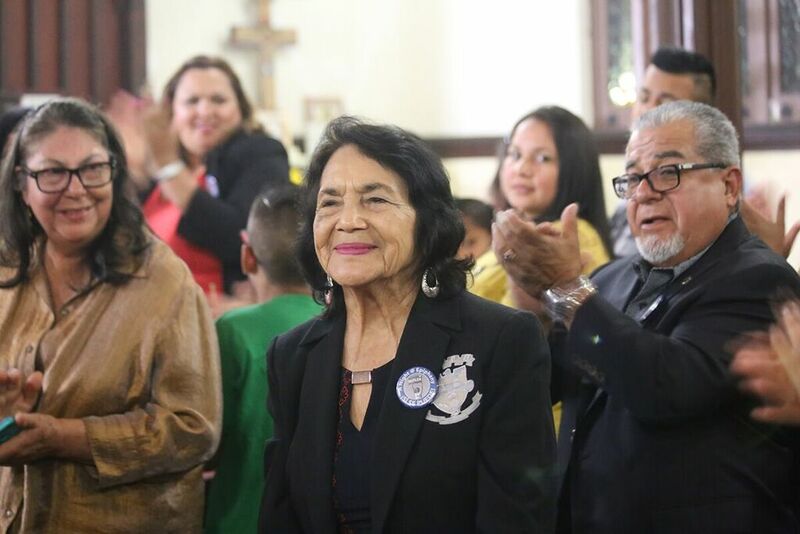 Dolores Huerta, center, co-founder of the United Farm Workers of America, was guest of honor at an Epiphany Conservation Trust gala in 2017. The church hosted many of the union’s early meetings and was for a time its Los Angeles headquarters. Photo: Janet Kawamoto, Archives of the Episcopal Diocese of Los Angeles. 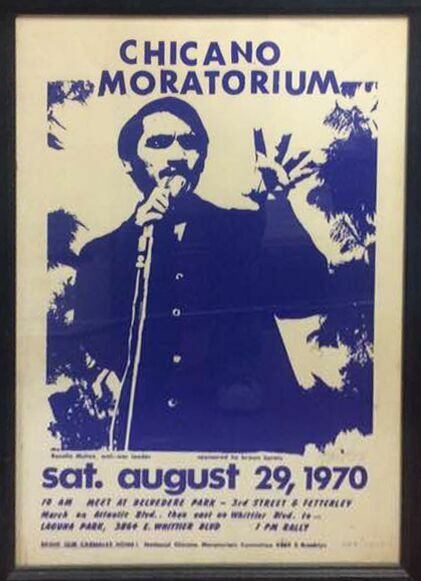 Chicano Moratorium poster by artist Adolfo Ceballos, depicting activist Rosalio Muñoz, 1970. 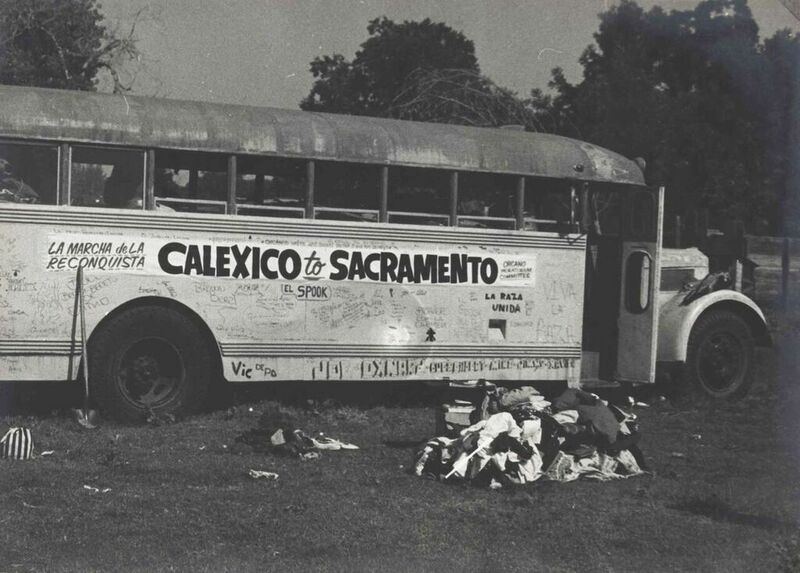 1971 La Marcha De La Reconquista, a 1,000-mile march from Calexico to Sacramento, organized by the Brown Berets and the Chicano Moratorium Committee, in support of farmworker’s rights and better education for Chicanos/Chicanas. Good luck to the Church of the Epiphany. We’re rooting for the home team to win this year. 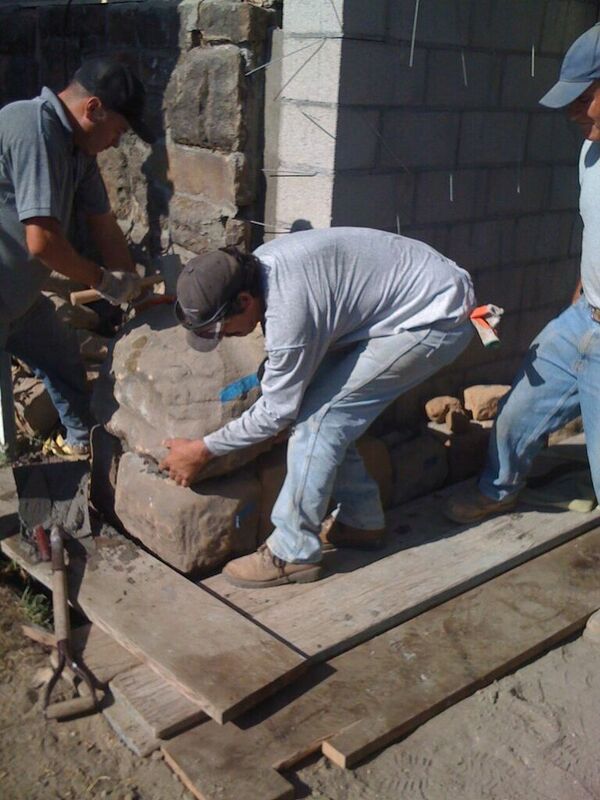 Restoration of the 1887 stone wall in 2014. Photo courtesy Escher GuneWardena Architecture. The sanctuary of the Church of the Epiphany. RELATED: A Look Back at When a Black, Female Newspaper Editor Took on the KKK in L.A.